Outfit your little one in these John Deere JD3188 Tan With Camo Cordura Shaft Youth Boots. 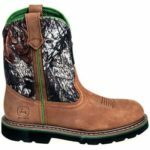 These quality youth boots have all the same features that your best boots have. 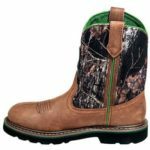 With feet made of tan, crazy horse leather and Mossy Oak Brand nylon tops in a camouflage pattern, your son will be the coolest kid at the 4H fair. 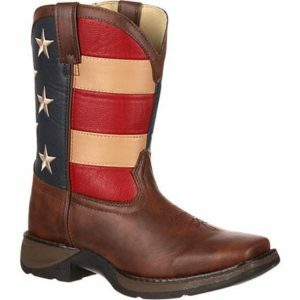 Leather is tough and resists stains, water and oil, so these will last a long time. Easy to pull on , these have an attractive Wellington style. Unlike cheaper kids boots, these are made to last and last. Expect to have them for hand-me-downs for a long time. 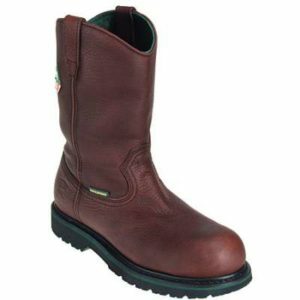 These boots even have the advantage of Goodyear welt construction, which means that if the soles wear out, new ones can be put on with ease. They’re not disposable, but instead are made to be worn for a good, long time. Those replaceable soles are non-marking too, so you won’t have to worry about scuffs on the sidewalk or kitchen floor. 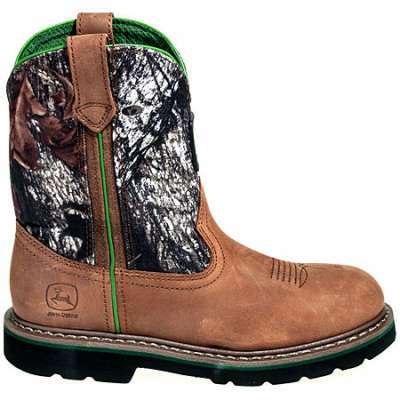 Inside, John Deere provides a soft, moisture-wicking lining that moves sweat and wetness away from your child’s skin. Dry skin is healthy skin–you knew it when you were changing his diapers, and now that same rule translates to his feet. 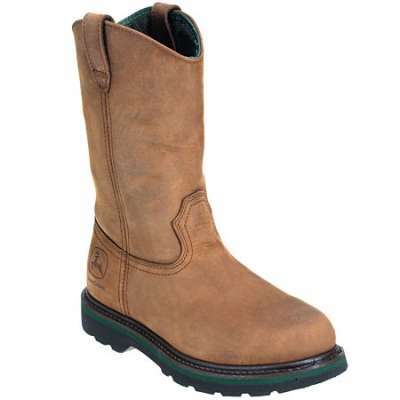 Like their best adult counterparts, these boots even pack the power of a steel shank. 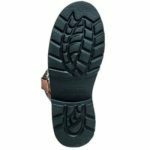 That’s a rectangular piece of metal in the sole of the boot that makes the boot break appropriately with each step, so they don’t pinch or irritate. 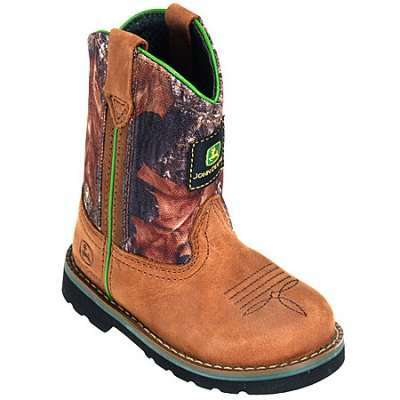 You know how well John Deere Boots work for you, so give your little one every advantage. 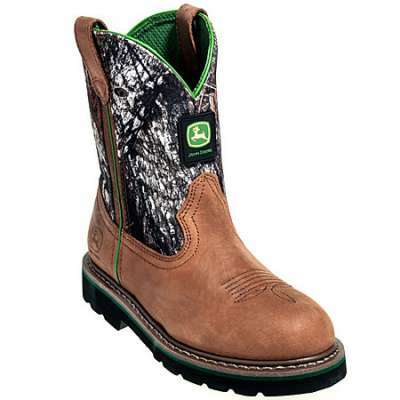 Give him John Deere Tan With Camo Cordura Shaft Youth Boots JD3188.